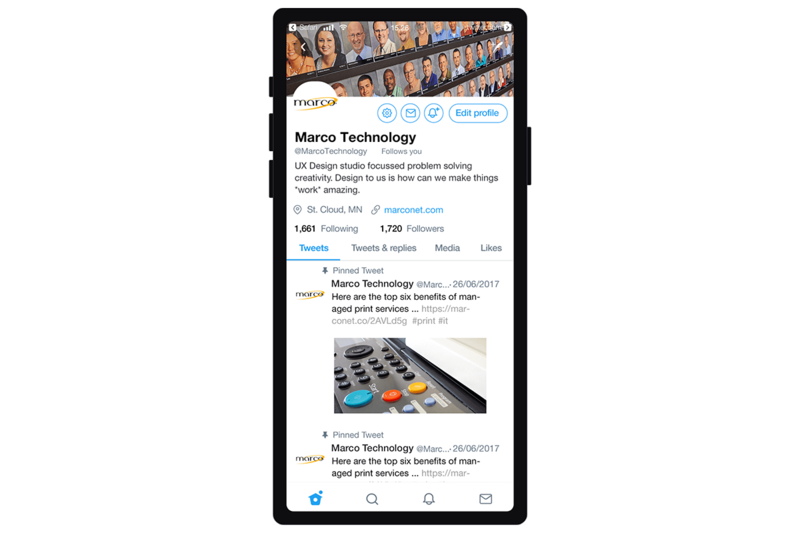 Marco is a leading technology services provider with 1,140 employees that serves more than 32,000 customers from its 49 locations throughout the Midwest. Minnesota is home to 16 of those locations. They’ve been a partner of Leighton Interactive since 2013. Here’s a visual timeline of challenges they presented to our agency, how their needs continue to evolve, and some notable highlights along the way. It all began with a little blue bird. 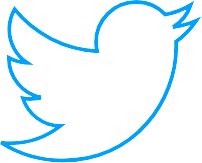 Marco hired Leighton Interactive to walk them through a Twitter business strategy in 2013. We encouraged Marco to look at at their website and consider what it could be: a legitimate sales tool, a lead enhancer, and a revenue generator. This required heavy key term research, persona development, and a need to establish the buyer’s journey as part of Leighton Interactive’s web design process. 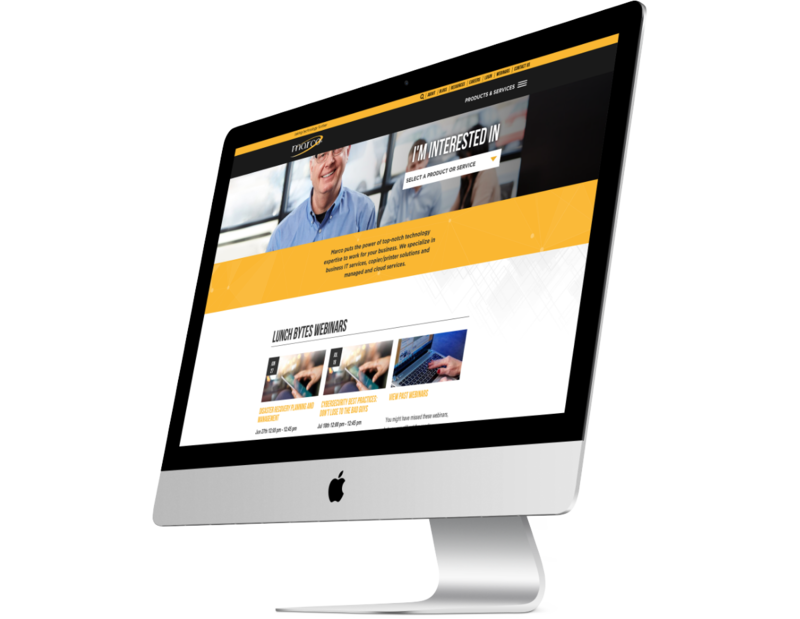 We revamped their website from top to bottom, creating a website that not only encouraged lead generation, but also improved their brand. Marco’s first inbound marketing campaign was modest, even by 2013 standards. Focusing on one business vertical, Managed Print Services, we drew up a campaign that featured the tactics that would get that new website to perform. Three blog posts a month. AdWords. SEO. Six downloadable offers. eNewsletters. Social media – and, yes, Twitter. For the first time in Marco’s 40+ year history, marketing becomes an investment instead of an expense. "Marketing became, for the first time in our company's history, a direct revenue generating force." Based on the success of their very first campaign focused on a single business vertical, Marco forges ahead with the rest of its business sectors – right around 10 – and has us develop multiple inbound marketing campaigns. Any previous marketing modesty or calculated risks where Marco was concerned – long gone. They were ready to open the throttle, and we were right there with them. Technology personified. 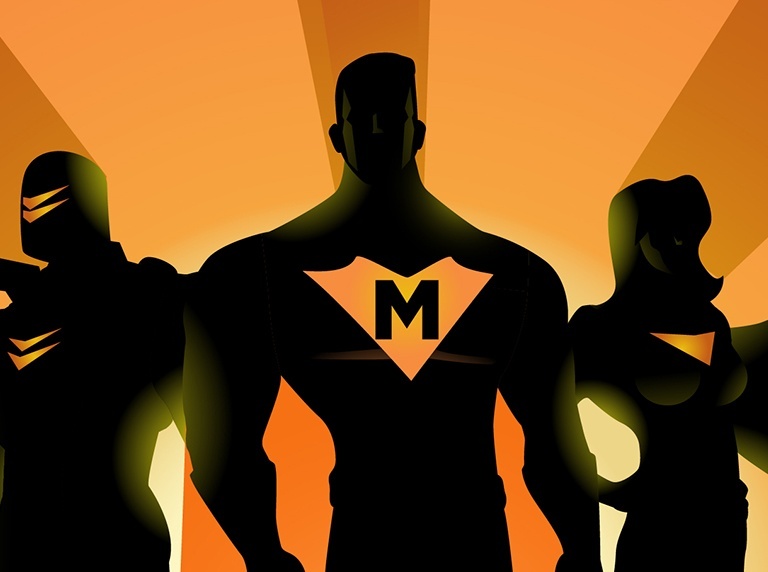 Together with another agency, Leighton Interactive crafts Marco’s m:powered campaign to showcase the client as the hero. Finding the right technology for your business is a powerful thing. Marco's performance-driven approach empowered their customers to work smarter, dream bigger, and take technology further. Who says tech can’t be playful? 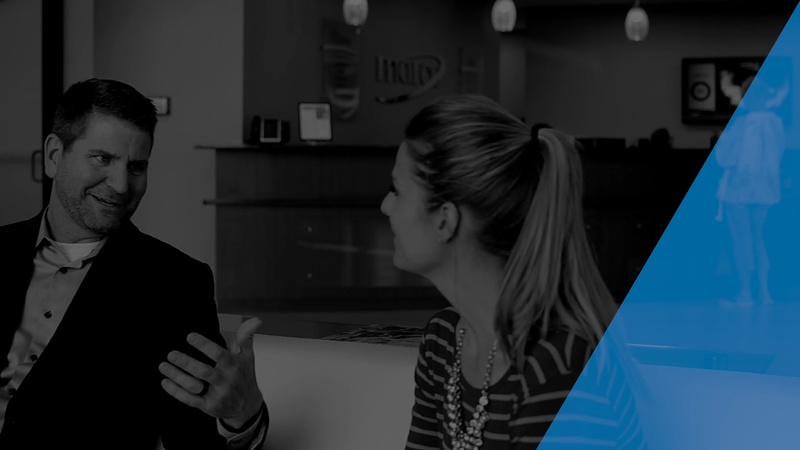 Together with the team at HP Printers, Leighton Interactive creates a video blog comparing the brand’s new line of PageWide XL printers to Tony Stark – aka Iron Man® of Marvel® fame. Perhaps you’ve heard of him? 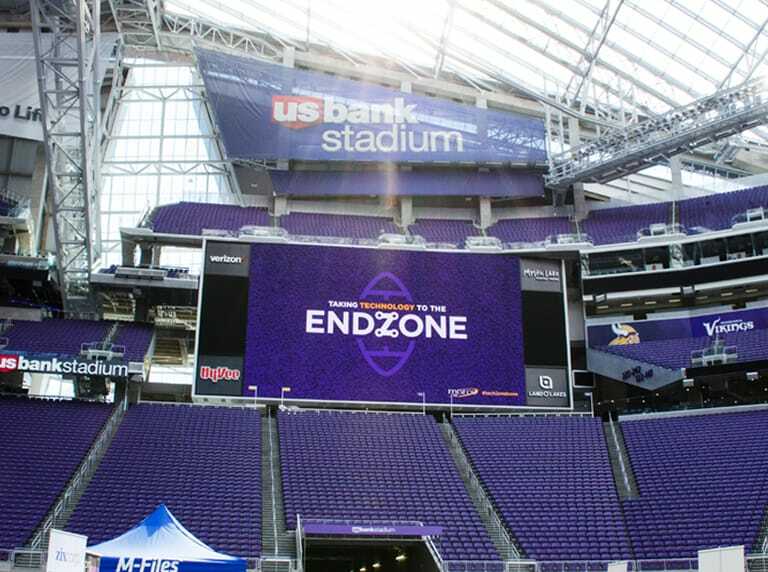 Marco hosts its inaugural Tech Tradeshow at U.S. Bank Stadium and employs Leighton Interactive to pioneer a truly inbound-focused tradeshow event – a first of its kind and the biggest scope Marco had taken on. Our team managed the campaign for promotion and visibility as well as day-of social and PR efforts. The event included over 600 attendees, 116 vendors, 37 exhibitor booths, and 20 separate breakout sessions filling up the turf. We kicked off a campaign for Sourcewell (formerly NJPA) in order to better serve Marco’s customer base of nonprofit entities: education, government agencies, and charitable organizations. High impact pages were given better visibility and organized intuitively, resulting in a 15% pageview increase and a 25% better bounce rate. The Don’t Limit Linda campaign creative all started with a simple conversation. While brainstorming for their 2018 content + web campaign, we talked about a character that every office seems to have. This character gets stuck doing a lot of the support and admin work to keep an office running. Whether it’s fixing a printer jam or making sure the Internet is working, these tasks are not usually in that person’s job description. We called this person Linda, and declared that every office has a Linda. Linda can be a woman or a man. Linda could have any job title, from Accountant to Salesperson. We wanted to create a video series that would illustrate some of the funny situations that Linda might encounter. This series would not only give credit to the Lindas of the world, but it would also bring awareness to the many services that Marco offers to help Linda out. Marco came to us with a desire to create a better mobile user experience for their clients. They wanted to create a app that acted as a home base for current clients to access a variety of tools and resources for their Marco partnership. This app allowed users to access Copier & Printer Services as well as IT Support. This app worked seamlessly with several API integrations to provide a great user experience. 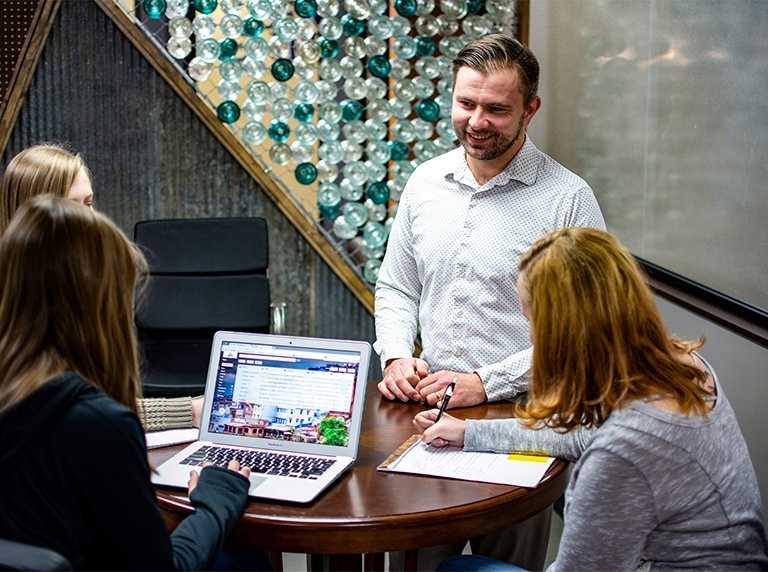 Marco and Leighton Interactive’s partnership has paved the way for how an entire inbound marketing agency can assist a company with its ongoing sales, marketing, and creative efforts successfully, and continually. We’ve supported and fostered continued growth and changing leadership. We’ve facilitated interdepartmental teams at Marco to work together smarter and more collaboratively. And … where there’s the opportunity of: What’s next?